With less than a year to go until March 29, 2019 – the date the UK leaves the EU – many businesses still haven’t started planning for Brexit. In a Deloitte survey conducted in 2017 with more than 200 businesses, the main areas for concern were the additional costs and administration in the case of no agreement being reached, potential delays to movements of goods, and the challenge of remaining competitive in the UK market. While businesses in Ireland have been successful in diversifying into other markets, the UK remains the largest trading partner for most sectors. Along with the uncertainty, many businesses may have to navigate customs rules and procedures for the first time in an area that can be complex and confusing. While the negotiations are ongoing, there is still a lot of uncertainty around how the future trading relationship between the UK and EU will look. There are two main scenarios, a ‘hard Brexit’ and a ‘soft Brexit’ and different levels of alignment and harmonisation between the two options. A ‘hard Brexit’ scenario (the preferred option for the UK Brexiteers) would see the UK leaving both the EU Customs Union and the EU Single Market. This would have maximum impact on businesses and trade would revert to a third country (non-EU) basis with customs border checks and tariffs being applied to movements of goods. Goods moving to the UK would be subject to export controls and, under EU customs law, the authorities would have to be notified in advance of the goods movement taking place. Goods brought in from the UK would be treated as imports and would be subject to import customs declarations, and possibly duty and Vat and other tariff barriers, including additional documentary requirements such as licences, tariff quotas and regulatory checks. In the absence of a trade agreement, the UK/EU trade would revert to World Trade Organisation (WTO) rules. This represents the maximum duty percentage that a country has to pay if no trade agreement has been negotiated and it would have the most significant impact on Irish businesses. It is interesting to note that the UK is a member of WTO through its membership of the EU and would therefore have to apply to be a member of the WTO in its own right in order to trade under its terms. Even if the UK and EU do negotiate a free trade agreement (FTA), such as the Norway and Switzerland models, exporters would still be bound to comply with specific rules of origin which can be onerous and time-consuming. Only those goods which qualify as EU or UK origin (containing a specified amount of originating material in the finished product) would qualify for zero tariff rates. For businesses which currently trade under FTAs, they often find that compliance with rules or origin is so complex that they do not use it for many of their traded products. With the supply chains on the island of Ireland being so heavily integrated, this would be most disruptive to trade. Many businesses in the border counties rely on being able to trade seamlessly with their customers in Northern Ireland and it is difficult to imagine how they could be affected. On the other hand, a ‘soft Brexit’ could see the UK remaining a part of the EU Customs Union and thus eliminating the introduction of tariffs on goods. For goods moving within a Customs Union framework, customs declarations are still required (the ‘Turkish model’) so to remove the administrative burden, the UK would also have to remain within the EU Single Market. As this would prevent the UK being able to negotiate its own FTAs, it is unlikely that this option will be agreed, even though it is infinitely more beneficial for Ireland and other EU Member States that trade with the UK. The UK recently proposed a ‘temporary customs arrangement’ which would remain in place until the future trade agreement is agreed by the end of December 2021. They proposed that the UK and not just Northern Ireland would continue to trade on current terms with the EU during the interim period. The arrangement would see “the elimination of tariffs, quotas, rules of origin and customs processes including declarations on all UK-EU trade”. While this would have been a welcome (albeit temporary) reprieve for Irish businesses, this proposal has been rejected by EU negotiator Michel Barnier who stated: “Our backstop cannot be extended to the whole UK because it has been designed for the specific situation of Northern Ireland”. Therefore, in the absence of any agreement so far on the future trading relationship, businesses should prepare for the eventuality that the UK may ‘crash out’ of the EU in March 2019. This special report aims to gives an overview of customs processes and procedures and identify steps that businesses can take in order to develop a Brexit impact plan. 1 Review supply chain movements to determine which flows of goods are affected. It can be useful to look at your company’s Intrastat returns (if completed) to identify which products are sourced from or supplied to the UK. 2 Complete a product classification exercise on the relevant products. This can be time-consuming and complex, but it is important it is correct as it affects the percentage of duty paid on the goods. 3 Once the product classification has been obtained, complete a duty analysis on these products to quantify the risk to the business. It is prudent to base these on World Trade Organisation (WTO) rates to show the maximum impact. 4 When the business is aware of the cost impact of Brexit, it can then identify if there are any potential steps it can take to mitigate the effects of Brexit, such as applying for a bonded warehouse or a processing authorisation. Businesses may also want to consider whether applying for AEO (authorised economic operator) may be beneficial. The proposed transition period may allow businesses more time to prepare, yet traders should still be planning now as applying for customs authorisations can be time-consuming. In order to be able to import and/or export goods, a trader is required to hold an Economic Operator Registration and Identification (EORI) number issued by EU customs authorities. An EORI number issued in any member state is valid throughout Europe and can be used in interactions with other customs authorities. Detailed instructions on how to apply for an EORI number are shown on the Revenue webpage. It is critical that an EORI number is obtained before importing or exporting to avoid delays. Under the EU customs legislation, the Union Customs Code (UCC), the customs debt (duty and VAT) shall be incurred at the time of acceptance of the customs declaration (when the goods are released into free circulation in the territory of the EU). There are two options for paying these charges, either by cash or a deferred payment facility. Businesses who wish to avail of deferred payment must be approved for a comprehensive guarantee. A tariff is a tax applied on the importation of goods which, in the EU, is applied across its external borders. The rate of duty can vary depending on the type of product and country of origin. WTO tariffs apply to trade between countries that have not negotiated a preferential trading arrangement. Maximum tariff rates have been set by the WTO and in the absence of an agreement being reached between the UK and EU, it is envisaged these rates will apply. For anyone who has tried to navigate the EU Taric (database of EU tariffs), it can be a time-consuming and frustrating process. In-depth knowledge of the product is essential and, even then, the language can be obscure and it is constantly having to be updated to include new technology. Yet ensuring that the correct tariff code is used is critical as the percentage of duty payable is based on the tariff code. It also determines whether regulatory requirements are applicable, such as goods licensing and tariff quota arrangements. Tariffs within the EU remain relatively low, with average tariffs of around 2.3pc for non- agricultural products, yet this will offer little comfort to businesses who trade in products such as cars (10pc tariff) clothing and footwear (12pc-16pc tariff) and food products (40-60pc+ tariffs). If a free trade agreement (FTA) is reached between the UK and EU, it is hoped that tariffs will be eliminated and goods will be able to move across borders without the payment of duty. However, this will only apply to those goods which are sourced within the EU and qualify under the rules of origin. 3 Must be documented as originating by means of a certificate of origin document. What is AEO and should I apply? AEO (authorised economic operator) is an accreditation by the customs authorities that the business is a ‘trusted trader’ and that their supply chain is secure. In order to apply for AEO, the business should be able to demonstrate that their internal processes are robust and that they have adequate control over the storage and security of goods movements. There are two types of authorisation, AEOC (customs simplifications) and AEOS (security simplifications). Traders may apply for one or both types. AEOC benefits: up to 70pc reduction in customs duty guarantee, notification waiver for EIDR (entry in declarant’s records), self-assessment and centralised clearance (when implemented). AEOS benefits: faster clearance at the border, priority treatment, mutual recognition by other countries such as the USA and Japan. A trader should consider which benefits are the priority when deciding which type of authorisation to apply for. 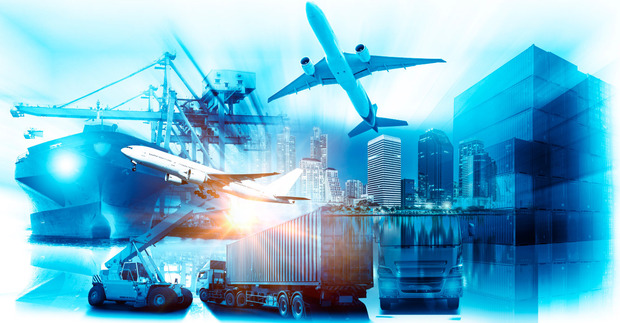 Indirect benefits can include: Recognition as a secure and safe business partner; improved relations with Customs and other government authorities; reduced theft and losses; fewer delayed shipments; improved planning; customer service and customer loyalty; and lower inspection costs of suppliers and increased co-operation etc. The EU has concluded mutual recognition agreements with third countries who operate a similar scheme such as Norway, Switzerland, Japan, Andorra, the US (Customs-Trade Partnership Against Terrorism C-TPAT) and China. The AEO application and accreditation process is likely to take between six and 12 months, depending on what internal procedures are already in place. Once the application has been accepted, the authorities have 120 days to audit the trader and this will involve review of the customs processes and systems as well as security of premises and cargo handling. When making the decision to apply, the trader should consider the time and cost of resource required to complete written procedures and ensuring that the business is compliant with customs processes. Next to the accreditation from customs, obtaining the AEO status is also proof that the internal organisation is – from a risk perspective – at the appropriate level, so also important for company management. No VAT is payable on goods dispatched to another EU country. Demonstrate that the premises are secure. For example, assume a manufacturer based in Ireland imports raw materials from non-EU countries for processing. A certain quantity of the finished product is re-exported to non-EU customers, and the remainder is released for consumption within the EU. If the manufacturer applies for an inward processing authorisation (a requirement to import or receive inward processing goods), the manufacturer pays duty and VAT only on the goods that are released for consumption within the EU. In addition, if the manufacturer produces goods on which a 0pc duty rate applies, the duty owed can be based on the end product rather than on the imported goods, which means that no duty would be payable. Outward processing occurs when a business sends goods out of the EU for processing and then re-imports the processed goods. This is beneficial for businesses in that the duty and VAT is only payable on the value added cost (the cost of labour outside the EU and the inbound freight costs). This could represent a substantial saving for businesses who process goods outside the EU. It is worth noting that use of these customs procedures requires a comprehensive guarantee and compliance with the conditions of the authorisation, which would include stringent stock controls and use of correct information on import and export declarations. Customs transit is described in EU guidance as ‘a customs procedure used to facilitate the movement of goods between two points of a customs territory via another customs territory or between two or more different customs territories’. What this actually means in practice is that goods can be moved with temporary suspension of customs checks and duty payments until the goods reach the destination country. Its signatories include the EU member states, the European Economic Area (EEA) states, Macedonia, Serbia and Turkey. 1 Goods imported from non-EU countries can be moved under transit from the point of entry into the EU to their final destination without payment of duties. Take for example, an importer in Ireland who brings goods in by road from Belarus. The goods cross the EU border and enter the EU in Poland. Usually the goods would have to go through the import process in Poland but use of the transit procedure allows the movement of the goods across all the European countries en route (Poland, Germany, Netherlands, UK) to Ireland. Use of this procedure means that all customs formalities are suspended until the goods reach their final destination. 2 EU goods can be moved under transit to another EU member state via a non-EU country without undergoing customs import and export formalities. Post-Brexit, it is expected that goods which use the land-bridge route to Europe may have to use the transit procedure to cross the UK. A transit accompanying document (TAD) will be issued in the country of origin (Ireland) showing a consignee in another member state such as France. This means that when the goods enter the UK, they do not have to be ‘imported’ and when they leave, an export document is not required. The haulier will be asked to present the transit documents at each border crossing to confirm these are EU origin goods. The UK has stated that it wants to remain a member of the Common Transit Convention and would have to agree membership with the EU. It could offer the UK and Ireland some alleviation of pressures at the borders. Under the Union Customs Code (UCC), all special customs procedures require that a financial guarantee, is in place before the authorisation can be issued. This is in the form of a comprehensive guarantee which must be applied for and be received before the authorisation is used. With regards to the latter two criteria, the authorities will look at these over the previous three years as part of their assessment. The level of the guarantee required relates to the ‘potential debt’ which may be incurred on goods held under a special procedure, such as inward processing or customs warehousing. The SAD is generally completed by a customs broker, although companies do have the option to complete this themselves. It is worth noting here that a custom broker will generally act as a direct representative in the principal’s (importer’s) name. This means the principal is solely liable for the customs debt. The onus also lies with the trader to make sure the details on the import or export SAD are correct, even if completed by a broker on their behalf. Customs procedure code (this lets the authorities know if the trader is entering goods to a special procedure such as a warehousing or processing regime). Red routing – the goods have been selected for both documentary and physical examination. Orange and red routing can lead to delays for traders as they require further checks on the documents and/or goods. There are many different areas to consider when developing a Brexit strategy and customs is just one of these areas. Yet, it is possibly the area in which a lot of businesses have the least knowledge and exposure. Businesses should treat Brexit like any other business risk and plan for change accordingly. By looking at the current trading landscape in detail, it may allow business to identify opportunities and research new markets. Businesses in Ireland are renowned for their adaptability and resilience and Brexit could well represent the most significant challenge for businesses in Ireland in many years. Hopefully this report has shed some light on the key areas that have been discussed over the past few years in relation to Brexit and customs and will encourage businesses to start taking action to prepare. Q Am I affected if I only trade with Europe? Potentially, goods traded with Europe could be affected if they are moved through the UK land-bridge option. Many traders are not aware that this route is being used by their transport provider, yet is it very popular as it is the most cost effective and fastest route to mainland Europe. Under the current customs legislation, the Union Customs Code (UCC), any EU goods which move through a non-EU country (as the UK will be post- Brexit) require customs supervision in the form of a customs document known as a Transit Accompanying Document (TAD). The TAD is raised in the country of dispatch and the duty and VAT liability is discharged when it reaches the country of destination. While the use of this document removes the requirement to complete import and export declarations at each border crossing, it still represents an administrative burden for the trader. In order to avoid this issue, shipping firms in Ireland have recently announced that they will be expanding existing capacity and introducing new direct routes to Europe from Ireland. Q What does the transition period and ‘backstop’ arrangement mean? Provided that an agreement on Brexit terms is reached by October 2018, a transition period has been proposed to last from March 29, 2019, until December 31, 2020. In the absence of such an agreement, the deadline of March 29, 2019, will still apply. During this time, the UK is expected to remain party to existing EU trade deals but will be able to negotiate trade deals with other countries. On the island of Ireland, the ‘backstop’ arrangement means that Northern Ireland will remain in parts of the single market and customs union, unless another solution to avoid a hard Border is found. This proved to be a key part of the December phase one agreement and places the onus on the UK to provide alternative solutions for the movement of goods on the island of Ireland. The Apollo 11 crew had to file a customs declaration when they returned from the moon. The Apollo 11 form lists the flight routing as “Cape Kennedy, Moon, Honolulu”.